” Recently, the federal government picked the Kimberley as one of its 12 suicide-prevention trial sites, a product of Prime Minister Malcolm Turnbull’s $192 million election pledge. 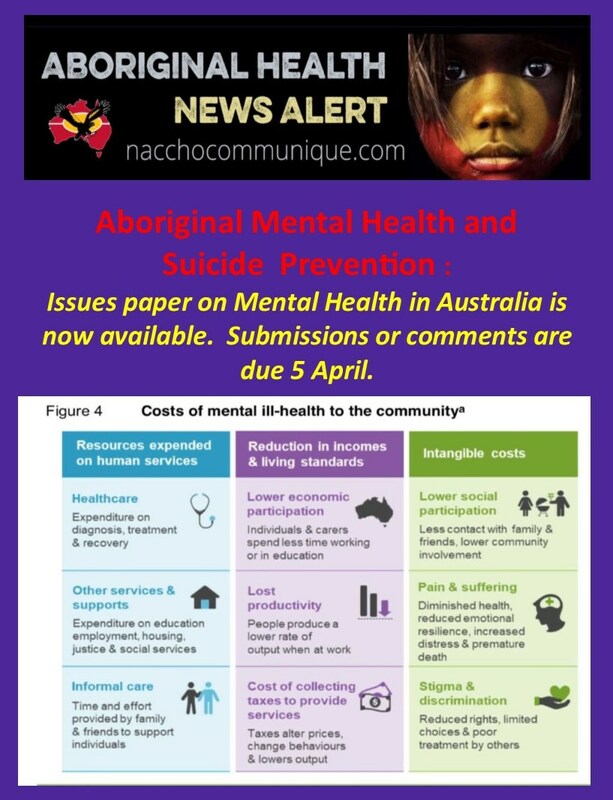 The health department’s media release talks mainly in the abstract about developing models of suicide prevention to “tailor specifically to the unique and often culturally sensitive requirements of remote and Indigenous communities”. This will use, it adds, the “expertise and local knowledge to tailor mental health solutions specific to their community needs”. Yes, this would be welcome. But to many, its sentiments and its promises are depressingly familiar. There are no nice, comforting words to describe what confronts Associate Professor Murray Chapman. A psychiatrist, trained in the UK, he is currently clinical director of the Kimberley Mental Health and Drug Service (KMHDS), which puts him at the centre of a community whose heart and soul is being torn apart by suicide. In July, Professor Chapman and colleagues published a report in the Medical Journal of Australia. It was based on an audit of the KMHDS internal suicide and self-harm database, based on referrals to the service, police reports, and reports from local hospitals and various non-government agencies. It found that, in the 10 years from 2005-2014, there were 125 suicides in the Kimberley. Of these, 102 were by indigenous people, who were mostly male (71%), mostly young (68% under age 30) and were mostly by people who had never come into contact with the services run by Chapman. Virtually all were by hanging. This was in an estimated population of around 14,000, which equates to an age-adjusted suicide rate of 74 per 100,000 population, or seven times the national rate. The media has long been stirred up by the topic. Earlier in the year, there were reports of a suspected suicide of a 10-year-old indigenous girl in WA. In response to the coverage, the WA State Coroner’s office announced it would hold an inquest, not just into what happened to the girl, but into another 20 recent suspected suicides. But it is easy to find similar stories about child suicide in the news cuttings from the year before, and the year before that — similar stories stretching back over the past 15-20 years. The causes of the tragedy, which has unfolded across the Kimberley and much of remote northern Australia, are hugely complex, Chapman says. He talks about collective trauma, the effects of colonisation, the effects of decolonisation and the Stolen Generation. He talks about the damage done by alcohol and communities now dealing with the fallout of fetal alcohol spectrum disorder, again at sky-high rates among those worse effected. And then there is the basic poverty, the lives lived in the squats and slums. As many indigenous leaders have pointed out over the years, Chapman says, suicide came late to indigenous Australia. “From what we can gather in the Kimberley, until the ’60s or ’70s, and even the early ’80s, there was little in the way of suicide. But then it took off. It was at the time of the first royal commission into deaths in custody, and obviously it was partly about suicides happening in prison. Last month, the federal government picked the Kimberley as one of its 12 suicide-prevention trial sites, a product of Prime Minister Malcolm Turnbull’s $192 million election pledge. Back in 2007, for instance, WA State Coroner Alastair Hope began his inquest into the deaths of 22 indigenous people from suspected suicide. The idea was the same as now: to discover the broader reasons behind the individual tragedies. Even with the distance of time, the findings make tough reading. Page after page recounting the final days or hours or moments of desperate people’s lives, short histories written in dry brutal bureaucratic words. The coroner’s report, which was published a year later, ran to more than 200 pages. 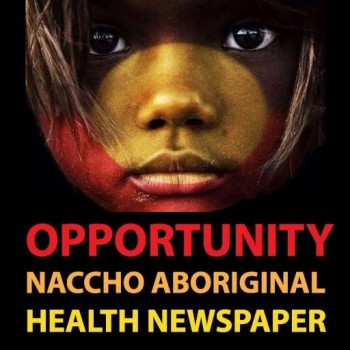 “In simple terms, it appears that Aboriginal welfare, particularly in the Kimberley, constitutes a disaster but no one is in charge of the disaster response,” Hope concluded. He came up with 23 recommendations. He wrote about things as basic as changing the design in public housing so it was less about nuclear families and more about communal living. He also wanted an end to a controversial work program for the indigenous unemployed, which he claimed, rather than offering meaningful work, seemed to result in what was called “sit down money” — money for doing nothing, which ended up fuelling alcohol misuse and the consequent havoc. But he also emphasised, first and foremost, the need to connect with Indigenous leadership. Wes Morris, head of the Kimberley Aboriginal Law and Culture Centre, which originally called for the inquest, says, in the end, only three recommendations were taken up by governments — and they were simply the sort of recommendations governments are good at delivering, namely, the creation of more services. The softer, less tangible demands, he says, were largely ignored. “Did any of it work? No. If it had worked, we wouldn’t be going through another inquest 10 years later or needing a suicide prevention trial,” Morris said. Morris talks about funeral fatigue in the Kimberley, the days spent in mourning the dead, the cultural exhaustion and what was described by Dr Helen Milroy, Australia’s first indigenous doctor, as ‘malignant grief’ — the irresolvable, collective, cumulative grief that spreads through the body of indigenous culture, through the body of indigenous people with the form of human despair, which kills. He quotes from the paper Cultural Wounds by Emeritus Professor Michael Chandler, a former professor of psychology at the University of British Columbia in Canada. Human rights campaigner Gerry Georgatos, who has been writing on indigenous suicide for more than a decade, is one of the many voices repeating their calls for a royal commission into a social horror story. “I have travelled to hundreds of homeland communities and the people who are losing their loved ones are crying out to be heard, they are screaming. As for Chapman, he remains clear about the limits of what can be done by statutory services while the bigger societal forces that have ravaged indigenous communities remain. “We work together, but up here all our partners — the primary care teams, the police teams — are under resourced. It’s the inverse care law. Professor Chapman, who has spent the past 14 years in the Kimberley, adds: “We know we [mental health services] can’t stop it on our own. We have a certain role. We save one or two, but we are standing at the bottom of cliff. 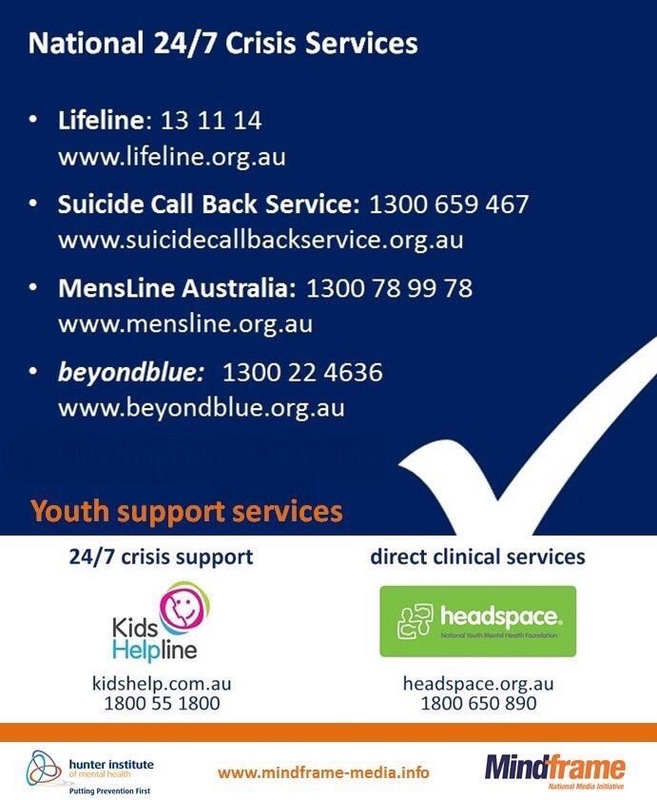 *For support and information about suicide prevention, please call Lifeline on 13 11 14 or the Kids Helpline on 1800 55 1800. 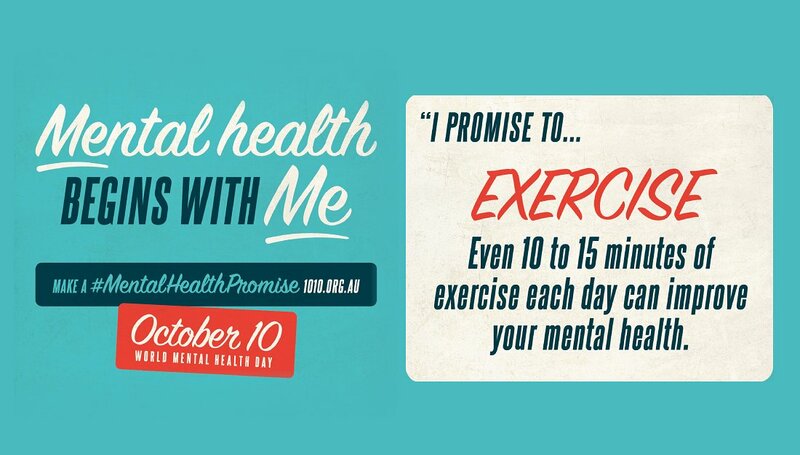 “At one point there had been 95 different mental health services operating in the Pilbara town of Roebourne. 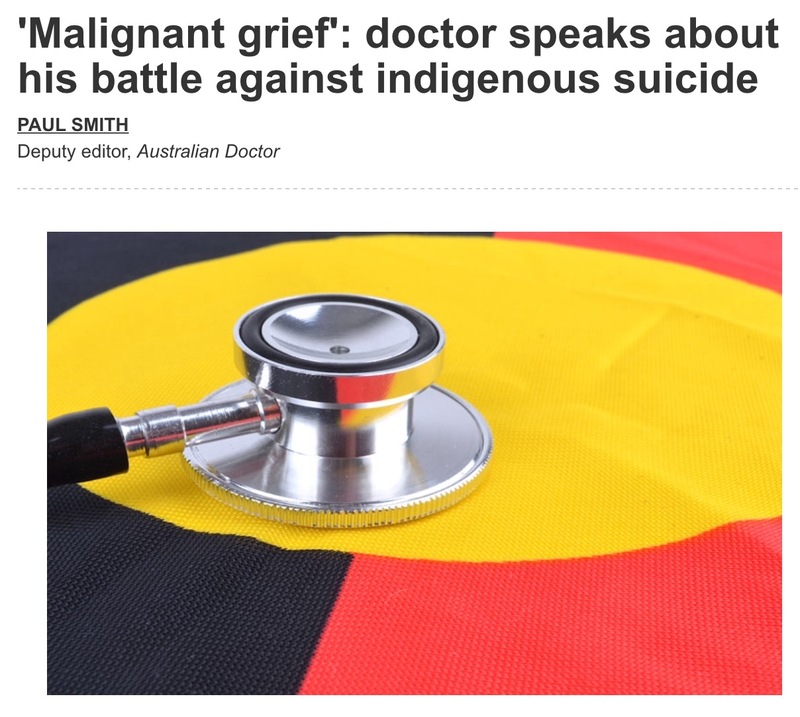 “There is a humanitarian crisis in this affluent nation, a catastrophic, systematic crisis: suicide accounts for more than 5% of Aboriginal and Torres Strait Islander deaths. It’s a staggering, harrowing statistic. 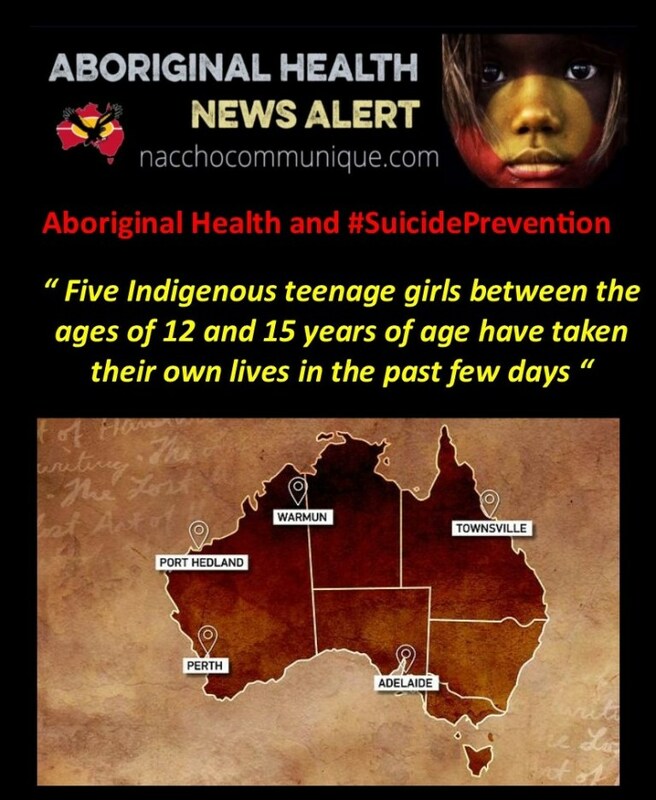 The Education and Health Standing Committee is examining Aboriginal youth suicides in Western Australia. It has travelled around the state hearing submissions from a number of mental health service providers. Dr Tracy Westerman runs a private company that provides psychological services to Aboriginal people. She told the committee that in one community there were more than 40 separate mental health services for a population of just 200 people, and most of their work was focused on three or four chronic mental health clients. “The community don’t know of the services and what they’re capable of providing to them,” Dr Westerman said. She said better coordination and leadership was required. “We need to go into really affected communities and look at where the needs are and where the gaps are and then develop models that we know have been effective in other communities,” Dr Westerman said. 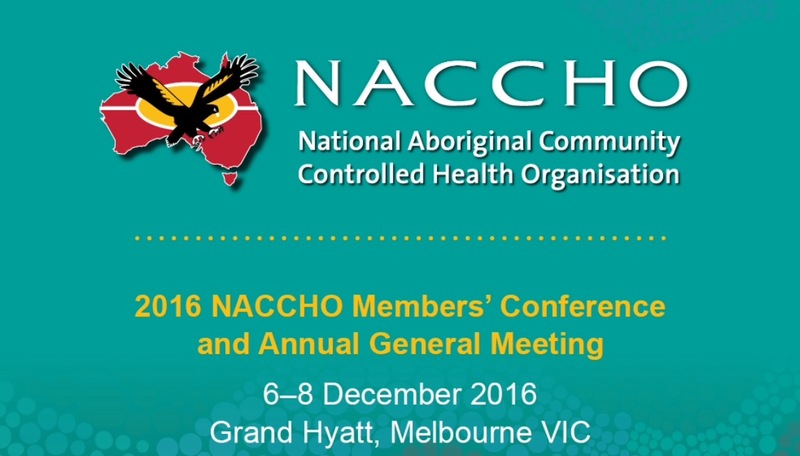 Michelle Nelson-Cox from the Aboriginal Health Council of WA raised similar concerns. She said at one point there had been 95 different mental health services operating in the Pilbara town of Roebourne. That had overwhelmed the community and prevented people from seeking support, she said. Ms Nelson-Cox told the committee the fly-in, fly-out nature of many services and the short contracts they were given often made them ineffective. She said instead, communities needed to be consulted on what they needed. “We need our people who are already on the ground to be trained and supported to adequately deal with suicides in their communities,” she said. The committee hearings wrap up today. As I begin to write this piece, I have been informed of a former refugee who has taken his life, of a mother who has taken her life, of a young Aboriginal woman who has taken her life, of a former inmate who has taken his life, of a newly arrived migrant who has taken her life. Each of these individuals was aged in their 20s. Suicide takes twice as many Australian lives as all other forms of violence combined, including homicides, military deaths and the road toll. The suicide toll should be the nation’s most pressing issue – the issue of our time. But alas it is not. There is a humanitarian crisis in this affluent nation, a catastrophic, systematic crisis: suicide accounts for more than 5% of Aboriginal and Torres Strait Islander deaths. It’s a staggering, harrowing statistic. In fact in my estimations, because of under-reporting issues, suicide accounts for 10% of Indigenous deaths. The contributing factors are many and intertwined, underwritten by the kind of acute poverty, disadvantage and marginalisation that should make no sense in one of the world’s wealthiest nations. But they are not limited to socioeconomic factors. From within the cesspool of this situational trauma – this narrative of victimhood – there has manifest a constancy of traumas – multiple, composite, aggressive, complex traumas. We need more than just generalised counselling, but this last resort is the first resort. Resilience selling is part of this generalised counselling where we beg the victim to adjust their behaviours – but how far and for how long without hope on the horizon? 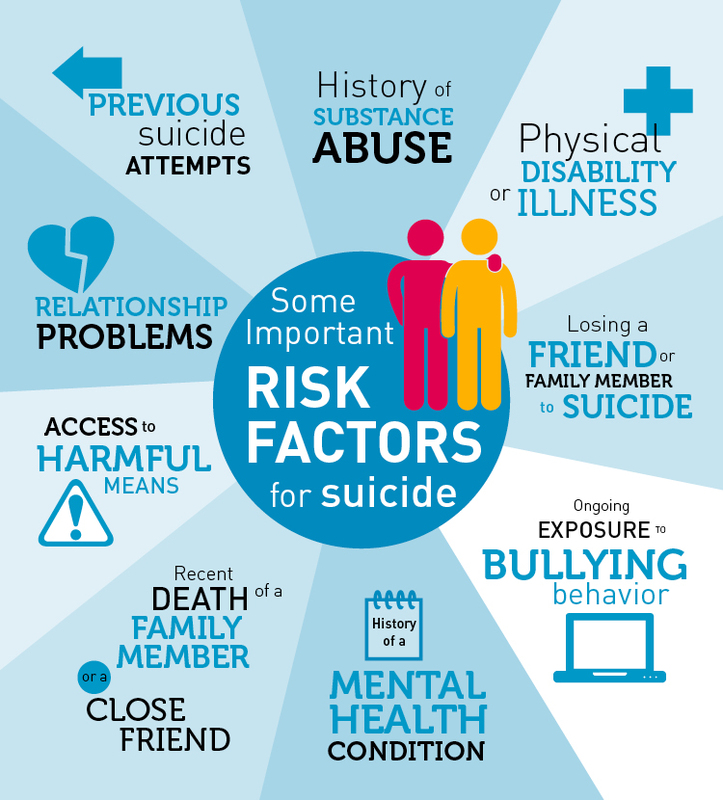 The factors that can culminate in suicide are the most preventable of the various destructive behaviours that impact on families and communities. There are many ways forward. A national inquiry or royal commission into Aboriginal and Torres Strait Islander suicides – and in fact into all suicides – is long overdue. We cannot live in the silences and dangerously internalise this tragedy. I have travelled to hundreds of homeland communities and the people who are losing their loved ones are crying out to be heard, they are screaming. Despite all the good work done by many in saving lives, the suicide toll, particularly for the most elevated risk groups, is on the increase. Without the deep examination that a royal commission will provide, the suicide prevention space will remain inauthentic – hostage to carpetbaggers and the ignorant. It is never enough to deal with the symptoms. The cause must be validated without languishing within it so as to avoid drowning in negatives and misery. Identifying trauma in any given population, including among LGBQTI people, former inmates, foster children, the homeless, the chronically impoverished, newly arrived migrants, culturally and linguistically diverse migrants and Aboriginal and Torres Strait Islanders, we start with behavioural observations and proceed with the opportunity for the individual to tell their story. People need people, 24/7. “It is totally unacceptable that Aboriginal and Torres Strait Islanders are experiencing the highest rate of youth suicide in the world among young Indigenous men aged 25-29. 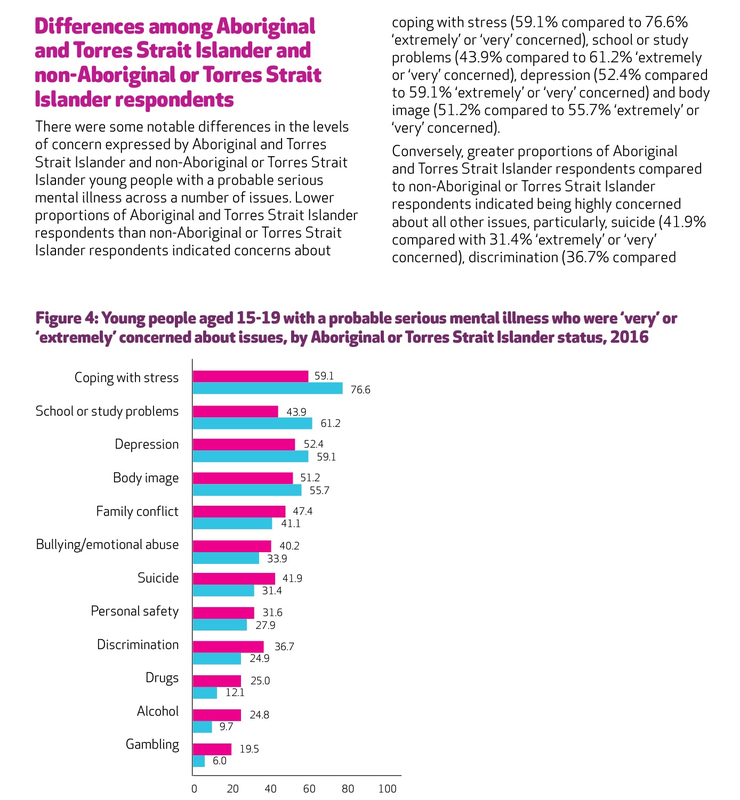 Aboriginal and Torres Strait Islander males are experiencing the highest rate of youth suicide in the world and health outcomes for all young Australians – particularly the disadvantaged – are falling. These disturbing results are revealed in a recent report Australian Youth Development Index 2016. 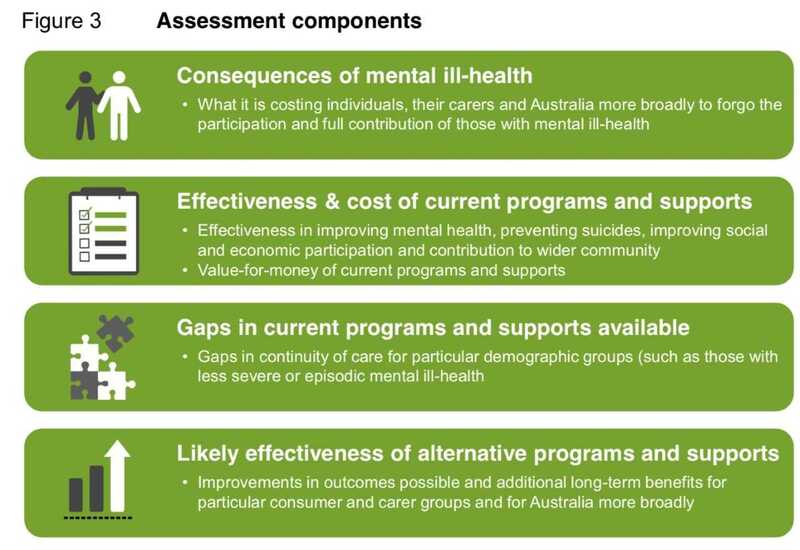 “The report describes very worrying health trends among Australia’s youth and without urgent policy action to improve contextual social support systems and preventive healthcare services, it will get worse,” Dr Jones said. 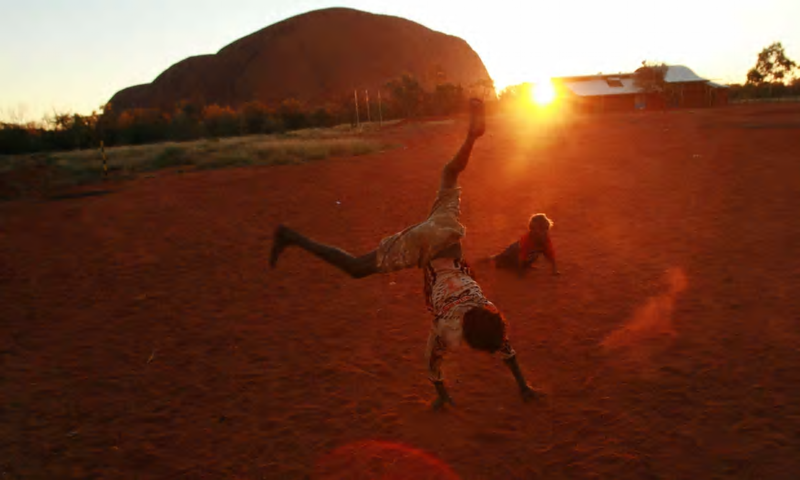 “Whilst globally this report showed Australia had comparatively high youth development, it is clear there remains uneven results for our most disadvantaged young people confirming inequalities in social and health practices. “We need to do more in terms of prevention and service responsiveness, particularly in areas of mental health care and drug abuse issues,” Dr Jones said. “If we don’t have a royal commission into Aboriginal and Torres Strait Islander suicides, we are going have more suicides, the trends are going to keep on going up, we are going to keep on losing more lives. 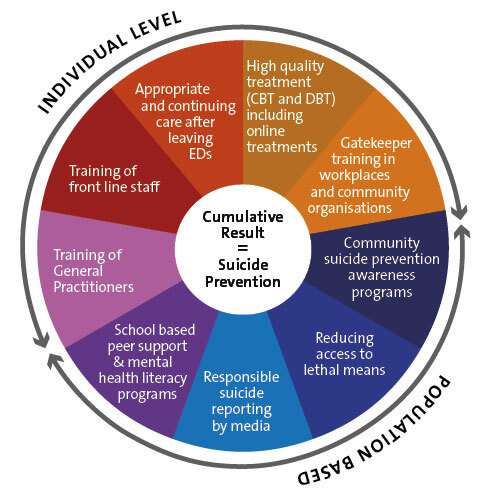 “Mental Health Minister Andrea Mitchell today announced the first three of a total of seven suicide prevention co-ordinators scheduled for placement in Western Australia in 2016. TONY EASTLEY: A West Australian parliamentary inquiry has been told a royal commission is needed to address the state’s Indigenous suicide rate. The inquiry was launched after the death of a 10-year-old girl in a remote Kimberley community earlier this year. ANTHONY STEWART: An estimated one in 19 Aboriginal people from WA will commit suicide. State Parliament is examining the crisis, but today, suicide prevention worker, Gerry Georgatos, told politicians national action is needed. GERRY GEORGATOS: If we don’t have a royal commission into Aboriginal and Torres Strait Islander suicides, we are going have more suicides, the trends are going to keep on going up, we are going to keep on losing more lives. We’re already losing more than five per cent of the Aboriginal and Torres Strait Islander population nationally to suicide. That’s abominable, that’s a humanitarian, a catastrophic humanitarian crisis. ANTHONY STEWART: WA was shocked into grappling with the issue after a 10-year-old girl committed suicide in March. The child’s death in the remote Kimberley community of Looma, pushed the WA Parliament to establish an inquiry into youth suicides. At today’s hearing, committee members repeatedly questioned those giving evidence about the merits of a royal commission. Dr Graham Jacob chairs the inquiry. GRAHAM JACOB: We have an open mind to that and we will continue to consider it and hopefully we will have our recommendations around November, before the end of the year. ANTHONY STEWART: Late last year, the Federal Government established a critical incident team to help WA communities in the immediate aftermath of a suicide. Evidence presented at the hearing has detailed how the team responded to three suicides in close succession just before Christmas in the Goldfields community of Leonora. Adele Cox is part of the team which responded. ADELE COX: Suicide in a lot of our communities, and particularly for young people, sadly has become quite normalised. You know, if something goes wrong, you know, that’s sort of one of the options that’s considered. We actually need to turn that around completely so that, you know, our kids never have suicide as a thought or an option. ANTHONY STEWART: Ms Cox is also Bunuba and Gija woman from the Kimberley. ADELE COX: One suicide is one too many. You know, what does it take before we actually get some real change. Greater commitment from both governments, but also I think our own communities, you know. Ultimately as the keepers of our people, you know, we need to take some responsibility in terms of responding to our own mob’s needs as well. ANTHONY STEWART: The Royal Commission into Aboriginal Deaths in Custody is now 25 years old. Recommendations like the creation of the custody notification service continue to prevent Indigenous deaths in police watch-houses. Gerry Georgatos says a similar level of national debate is needed to prevent suicides. GERRY GEORGATOS: A royal commission, on the one hand, will help shift that national consciousness, will help educate the nation, but more importantly, will avail the nation, will avail the bureaucrats, will avail the policy-makers, will avail the parliamentarians, to what works in suicide prevention, and what type of political reform we need. ANTHONY STEWART: To underline the urgency of this inquiry’s work, it was today informed there was another suicide in the Kimberley at the weekend. This death happened in a community just visited by one of the politicians. TONY EASTLEY: Anthony Stewart with that report. 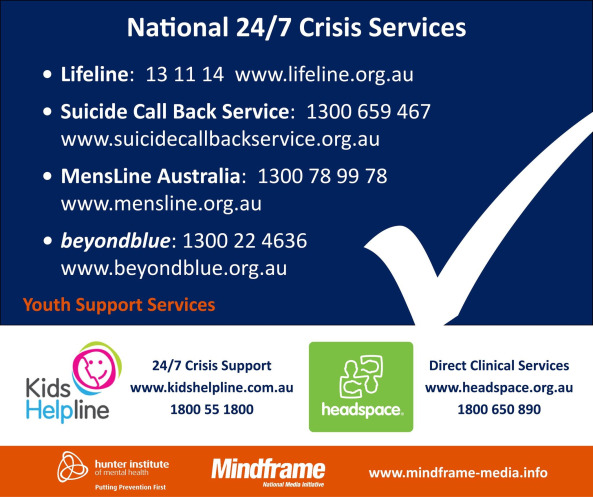 Mental Health Minister Andrea Mitchell today announced the first three of a total of seven suicide prevention co-ordinators scheduled for placement in Western Australia in 2016. “These new positions fulfil a number of actions identified as part of the Liberal National Government’s Suicide Prevention 2020 Strategy,” Ms Mitchell said. “These new co-ordinators will be facilitators to assist services on the ground to work in partnership to improve support and care for those affected by suicide and suicide attempts. 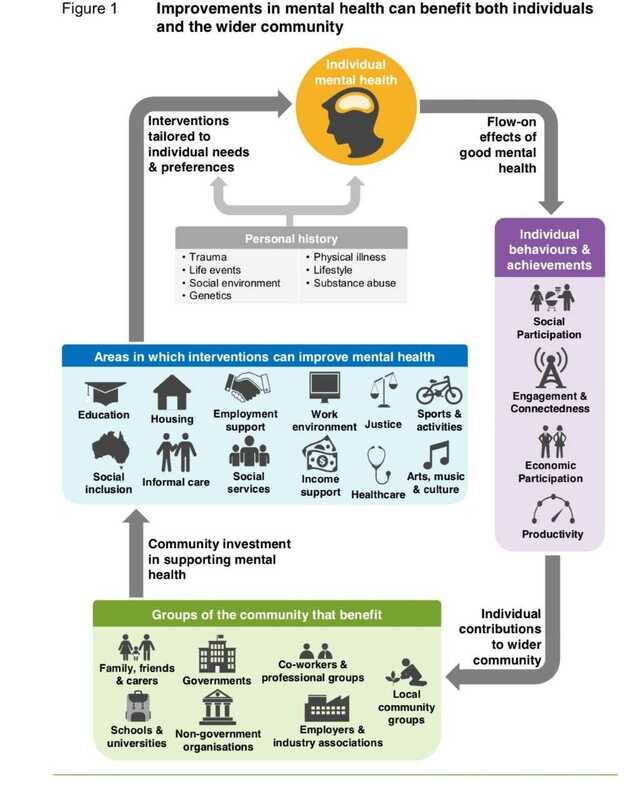 “While there is a range of support services available for people in crisis in regional areas, these new positions will increase the capacity of communities to identify and respond to suicide and related mental health issues as well as to promote suicide prevention services and initiatives. The Minister said phase two of the program, which would place co-ordinators in the Kimberley and Mid-West, would be announced soon, and the placement of two co-ordinators in the metropolitan area was also expected later in 2016. The Mental Health Commission has signed agreements with Holyoake in the Wheatbelt, Hope Community Services in the Goldfields and St John of God Health Care in the South-West. “The question is why? And I think part of the answer is that there needs to be much more involvement of Aboriginal people through governance structures that are appropriate to have a say how those resources are used. “It’s important because many Aboriginal people will not be comfortable ringing a general service and speaking to a non-Aboriginal person. New South Wales parliamentarian and former state Labor leader Linda Burney said the Federal Government should seriously consider the proposal. Ms Burney, who is a Wiradjuri woman and will be making a tilt at federal politics in the upcoming election, said a national, Aboriginal-led initiative was needed to address many of the issues surrounding mental health and disadvantage. “Child suicide was a growing problem in indigenous communities. 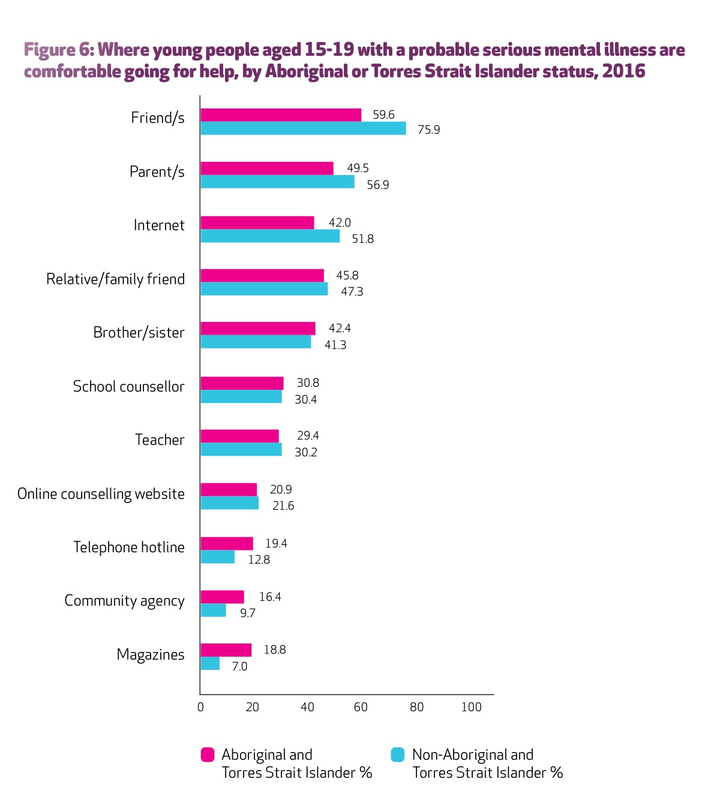 Children’s exposure to family violence was a “major contributor” to the mental health of young people. 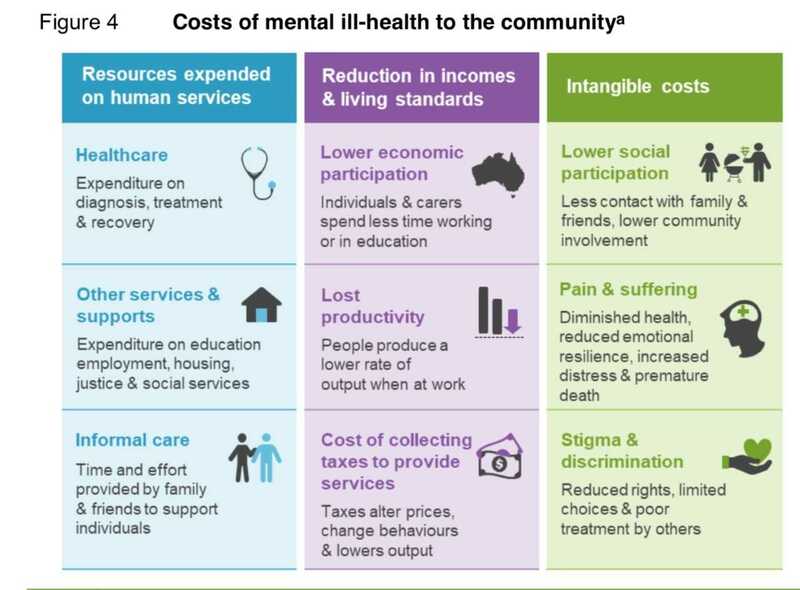 services needed more funding for mental health, with remote communities having limited access through Aboriginal Medical Services and the Royal Flying Doctor Service. Crisis support service Lifeline is calling for the Commonwealth to support an Aboriginal-specific arm of the hotline, to tackle the high rates of suicide in Aboriginal communities. Lifeline Central West, which covers about one third of New South Wales, has proposed establishing a national call centre in the central west city of Dubbo run by Aboriginal counsellors. It has written a letter to the Federal Minister for Indigenous Affairs Nigel Scullion, asking for financial support for the so-called YarnUp Confidential service. It was hoped the call centre would take up to 70,000 calls per year and create 118 new Aboriginal jobs in Dubbo, costing about $10 million to run annually. Australian Bureau of Statistics figures released this week showed suicide rates among Indigenous people were about twice those of non-Indigenous people. Lifeline Central West executive director Alex Ferguson said the rates would only continue to rise unless the Commonwealth took urgent action. Mr Ferguson said while similar services were run locally in some communities, there was a need for a unified service based on the Lifeline model. “Look at the scorecard and I think you’ll find their policies are either misdirected or failing,” Mr Ferguson said. “At the moment we don’t have dialogue and we need to have a dialogue within the Aboriginal community and the broader regional communities. Mr Ferguson said many Aboriginal people did not feel comfortable conveying their concerns to non-Indigenous counsellors. 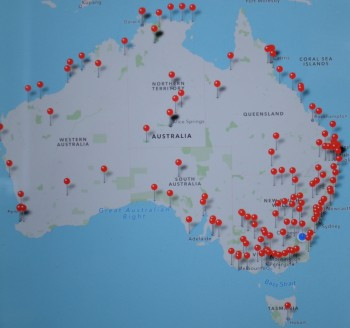 “They don’t trust us, in many cases they don’t like us, and that’s why the YarnUp model is based on Aboriginals working with Aboriginals, but doing it in a very structured way, which is the Lifeline training and telephony model,” Mr Ferguson said. Mr Ferguson said there had been an “uninspiring” response from the Government, and was disappointed it had not offered an alternative solution. “Nobody has put up anything else to either push YarnUp our of the way and or has actually ever criticised the content of YarnUp,” Mr Ferguson said. The Federal Member for Parkes Mark Coulton said the broadly supported the model and will next week lobby the Indigenous Affairs Minister Nigel Scullion for a trial. But he said many local organisations were already doing similar work and there was a risk of duplicating services. 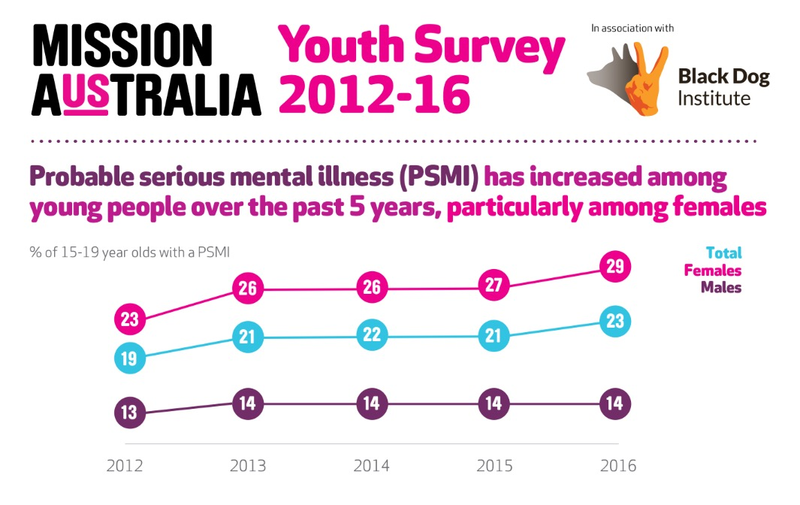 “I was in Bourke a couple weeks ago and there was another group there that has got a mental health program for school-aged students,” Mr Coulton said. “This is not an empty field, there are a lot of people out there in this space. Every year at least 5% of all deaths of Aboriginal and Torres Strait Islander peoples is due to suicide. This ongoing crisis is increasingly significant amongst those aged 15 to 34, where suicide is the leading cause of death, accounting for a third of all loss of life. 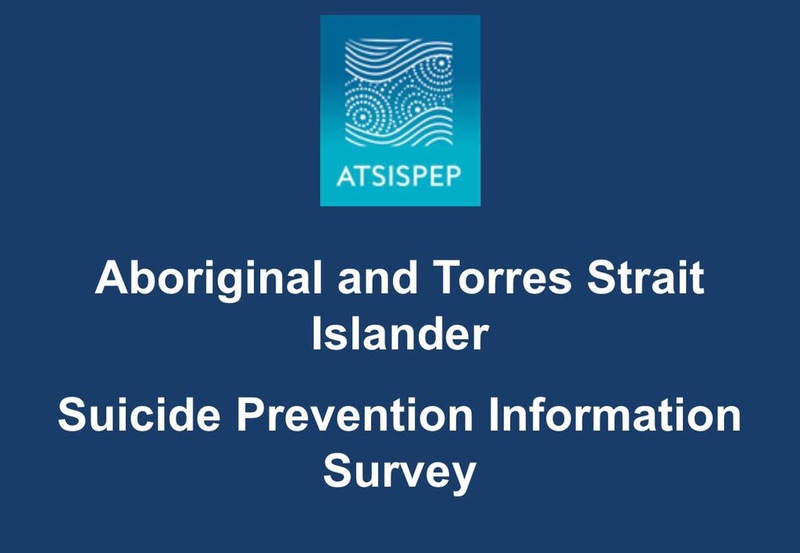 The Aboriginal and Torres Strait Islander Suicide Prevention Evaluation Project (ATSISPEP) has been funded by the Australian government to investigate suicide prevention programs to determine what works, why, and how it can be replicated. Incorporating a strong commitment to Indigenous governance, ATSISPEP is not just an exercise in desk top research. Listening to communities through personal consultation and Community Roundtables is essential to understanding the complexity of the problem, and the appropriateness of systematic, yet locally specific, solutions. The culmination of this process is the Inaugural National Aboriginal and Torres Strait Islander Suicide Prevention Conference. Long overdue, this event will bring together experts and members of the Australian community from across the country to Alice Springs. For two days those gathered will exchange learnings, share lived experience and build knowledge about how we can best empower communities to tackle this entrenched tragedy. 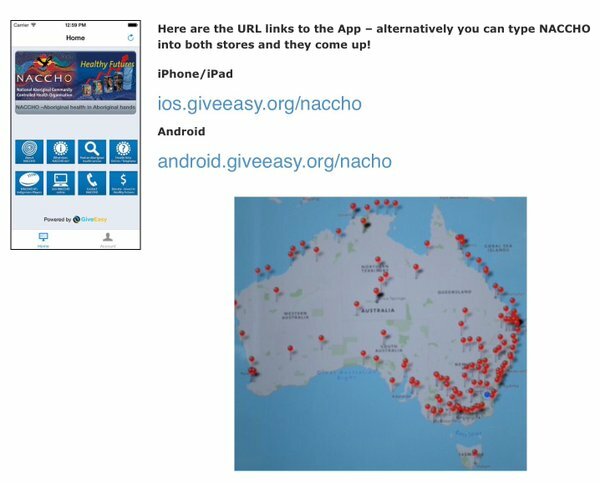 Thank you for your interest in presenting at a concurrent session at the Aboriginal and Torres Strait Islander Suicide Prevention Conference. Abstract submissions are now open. Sessions will be between 15 and 25 minutes and are available on both 5 and 6 May. Abstract submission deadline is 5.00pm (WST) Wednesday 23 March 2016. There are a limited number of bursaries available – please contact Chrissie Easton at chrissie.easton@uwa.edu.au if you need assistance to complete the application. Please also contact Chrissie Easton if you are interested in making a presentation at the conference of up to 30 minutes.